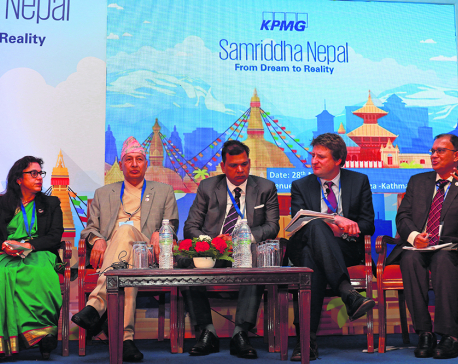 KATHMANDU, Dec 28: The government is organizing a second investment summit in March next year. 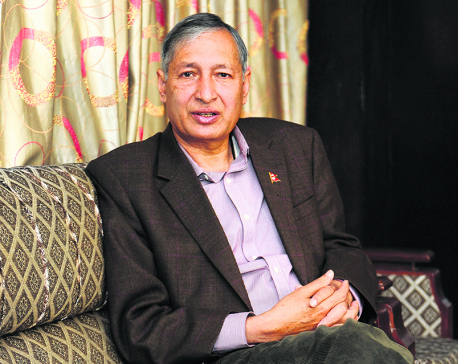 Organizing a press meet at the Ministry of Finance on Thursday, Minister for Finance Yuba Raj Khatiwada, who is also the coordinator of the summit organizing committee, said that the two-day Nepal Investment Summit 2019 will kick off on March 29. 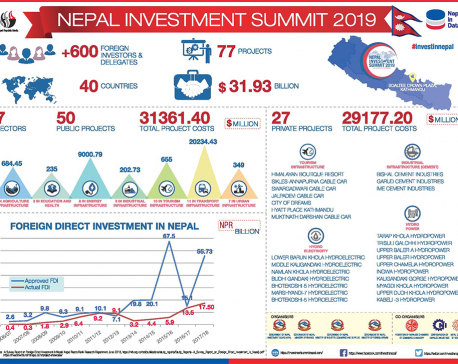 The summit, among others, aims at promoting Nepal as a lucrative investment destination, according to officials of the Investment Board of Nepal (IBN), which is the coordinating agency of the event. The government had hosted the first investment summit in March last year. The summit had secured investment pledges worth US$ 13.74 billion. However, most of the pledges have been limited to paper as not a single letter of intent (LoI) has materialized as real investment so far. Speaking at the press meet, Finance Minister Khatiwada, who is also the vice-chairman of the IBN, said that the summit was being held with an objective to translate the country’s long-term development ambition into achievement. “The summit will also help to share with investors what we have done to make the country more investment-friendly,” he added. IBN CEO Maha Prasad Adhikari told Republica that the investment summit is a part of the government’s initiatives to attract foreign direct investment. Asked why another summit was needed when the investments pledged of the last summit was yet to realize, Adhikari said that the IBN along with other government agencies are following up with the investors. According to Adhikari, over 25 percent of such LoI is in the process of realization. “All countries are making all out efforts to lure investors in their countries. They do various promotional works. If we do not host investors or do not carry out any promotional work, we may lose them,” said Adhikari. Adhikari also said that the government during the summit will make commitments for carrying out reforms for facilitating investments in the country.